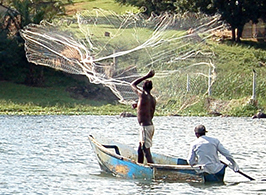 Uganda is a landscape of deep lakes, towering mountains and thick rainforests. 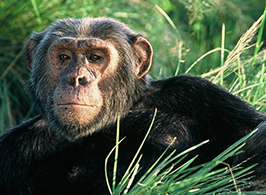 Boasting wildlife not found anywhere else, Uganda is also home to the world’s greatest concentration of primates and is often called the original Eden. Renowned for its mountain gorillas – as well as elephants, buffalo, giraffes, lions and leopards – there are plenty of ways to see the wildlife: whether you’re mountain trekking or on a safari, you’ll be astonished by the natural beauty of this underrated area. You’re likely to walk for over four hours in tricky conditions, with warm weather and humidity playing a part too. But once you locate a gorilla family, the thrill of being so close to these incredible creatures is worth the trek. There is no safari experience like this. Offering an exceptional choice of lodges, and a high concentration of game – including elephant and lion – Uganda’s Queen Elizabeth National Park is an excellent choice for a more traditional safari. For another safari experience, travel to Murchison Falls National Park – the largest conservation area in Uganda, and home to a rhino breeding project with a view to restoring the park’s Big 5 population.